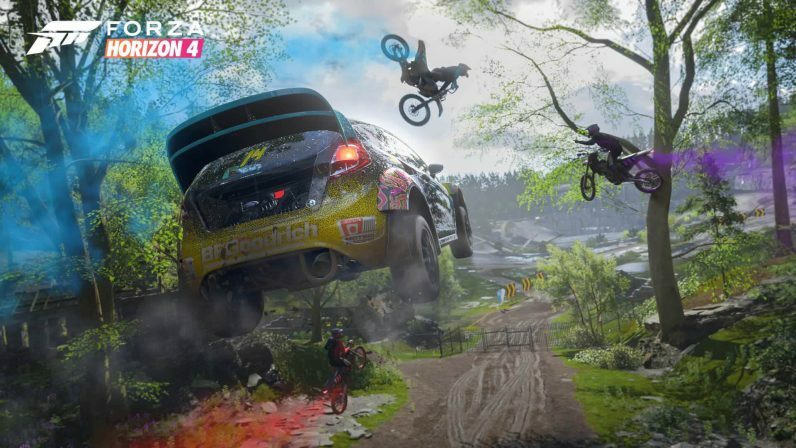 The publisher of Forza Horizon 4, our pick for the best racing game of 2018, recently updated the game. In addition to adding several new cars, it also removed two emotes. While this wouldn’t seem like a big deal in and of itself, you begin to see what a bullet it’s trying to dodge when you look across at the legal tangle that is Fortnite, Epic Games, and the dance emote lawsuits. An update on the Forza website simply says “The ‘Carlton’ and ‘Floss’ avatar emotes are no longer available.” Both emotes are similar to ones that have appeared in Fortnite, referencing the famous dance of Fresh Prince of Bel-Air star Alfonso Ribeiro and Backpack Kid, respectively. They aren’t the only emotes the two games share, but these two are now the subjects of lawsuits between their creators and Fortnite developer Epic Games. The Fortnite emote controversy has become less about copyright and creative theft, as it started out, and more about how many of Fortnite‘s emotes can become the topic of lawsuits. The latest one to join the pile comes from Rachel McCumbers, the mother of Orange Shirt Kid. For the uninitiated, this distinctively-dressed youngster was a participant in the BoogieDown contest — in which fans performed dance moves they’d like to see included as emotes — and submitting a rather charming video of himself doing a rubber-legged shimmy. While he wasn’t the winner, he did catch the attention of fans, and his moves were eventually included as the “Orange Justice” emote. Now, according to Variety, his mother is suing Epic Games. With this much drama, I can’t really blame the publishers of Forza for taking an axe to their own emotes. A rep for Epic Games declined to comment on this story. We contacted Microsoft Studios, the publisher of Forza Horizon 4, for comment and will update if we receive a reply.